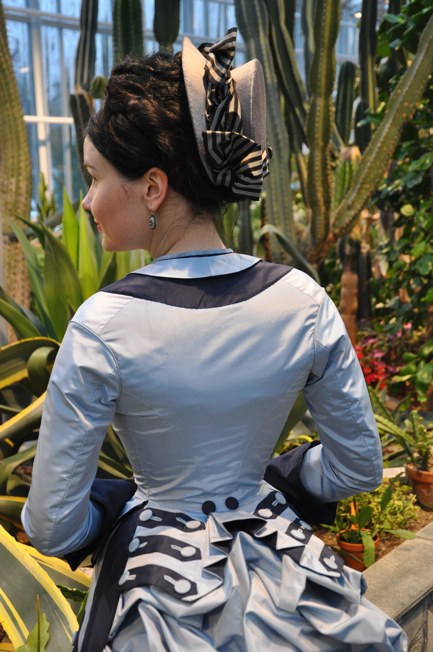 Although Augustintytär considers herself an "amateur historical seamstress," her work is anything but amateur. This self-taught seamstress from Finland sews historical clothing as a hobby, with extreme dedication and attention to detail. "I try my best to make faithful period reproductions within my abilities and resources. I also take great joy in sewing the entire outfit myself from shoes and stockings to hats and gloves." 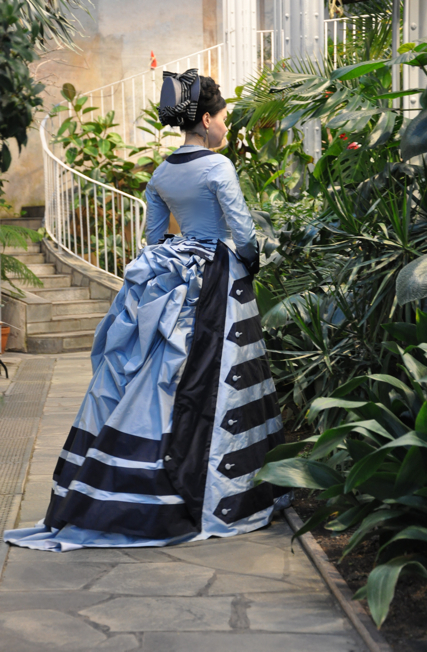 Her work is stunningly accurate, as you can with this two tone blue Victorian day dress. 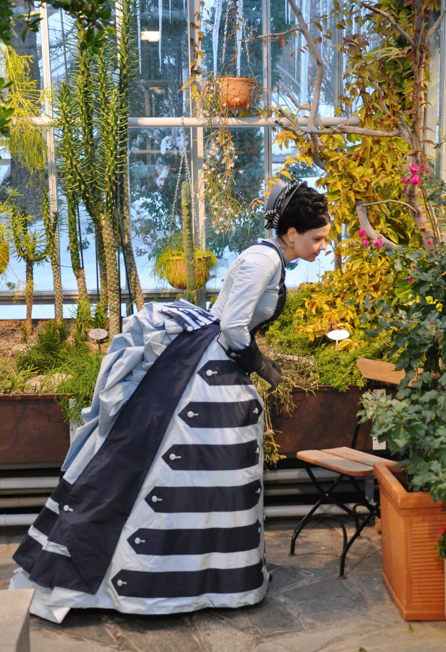 It's based on a dress made by a professional dressmaker in the UK sometime during the 1870s. At that time fashion was moving away from fussier trimmings, as evidenced by the masculine tailoring in the cuffs and bodice. Just as the original was made with two tones of blue silk, Augustintytär has followed suit with yards of silk taffeta in both light and dark blue. The piped sleeve seams, as well as all other finishing and trimmings, were hand-sewn. Even her hat is handmade, with a frame she hand sewed from buckram fabric. 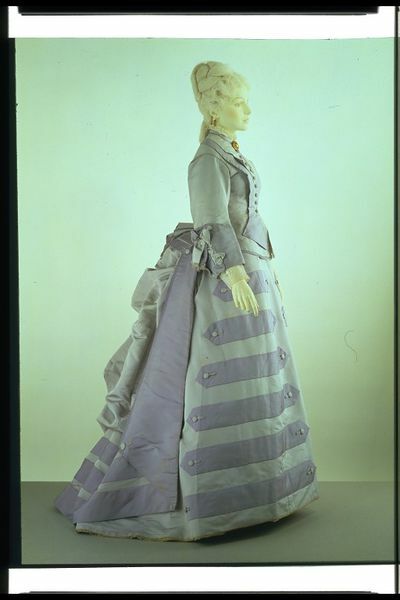 She covered it with grey silk taffeta and decorated it with bows made from grey and black striped silk taffeta. Her gloves were hand sewn from black leather. 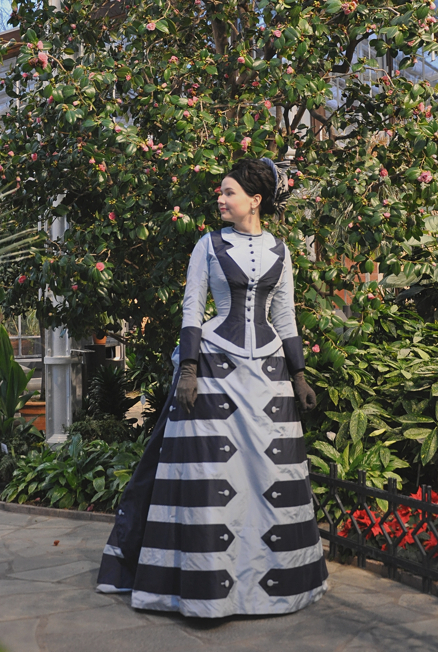 To see more of Augustintytär's impressive work, check out her historical costuming blog Before the Automobile.